All products are digital downloads. After your purchase you will be able to download your product. No physical CDs will be shipped. Whether you are rich or poor, happy or sad, in good health or poor health, you can benefit from more prosperity in your life. There are economic and spiritual aspects of prosperity and the key is balance. For example, you might have a job where you earn a lot of money, but it does not contribute to your inner spiritual prosperity. Or perhaps it is the other way around for you. 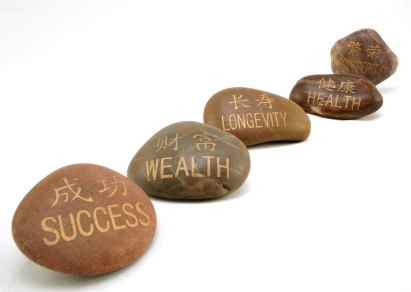 There are an abundant number of ways in which you can reach balance and prosper in all areas of your life. The Prosperity Series will help you in any area of your life. Whether you seek improved health, more wealth, greater confidence or change in any other area of your life, this series will help you prosper. All of these recordings feature Brainwave Entrainment (also known as Brainwave Synchronization). This is a sound engineering practice that causes your brainwave frequencies to fall into step (frequency) with the sound stimulus generated by our recordings. This depends on a frequency following response, since the human brain has the ability to change its dominant EEG (Electroencephalograph) frequency to that of the frequency of our recordings. Brainwave Entrainment with these recordings is accomplished through binaural beats (also called binaural tones). Abundance - Prosperity Prosperity Series recording focusing on Abundance - using the Law of Attraction to get what you want! I Love To Exercise - Prosperity Prosperity Series recording for improving your relationship with exercise - finally start to love it and have it as a natural component in your lifestyle!